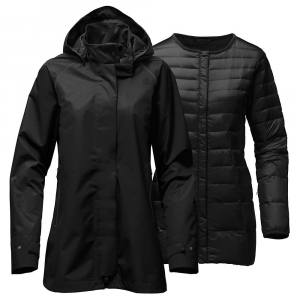 The waterproof and breathable fabric, two-layer construction and removable 100-weight fleece liner of the Ramble Component Jacket makes this three-in-one jacket the all-in-one for mountain business. We threw in an attached hood, Angel-Wing Movement and a variety of pockets to round out functionality. 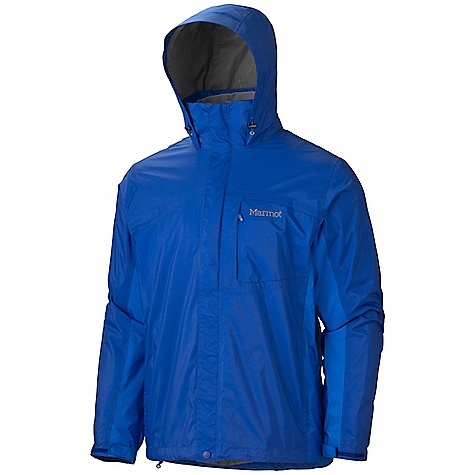 Roam the snow and be ready for any weather in the Marmot Ramble Component 3-in-1 jacket. 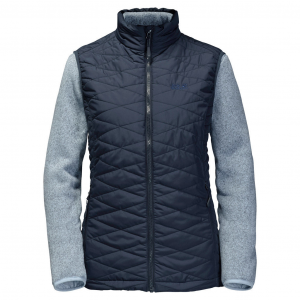 The weather-shielding shell has a zip-in fleece liner that will keep you warm and cozy when temperatures drop. 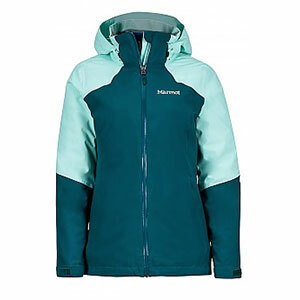 Marmot Women's 3 in 1 Jackets Ramble Component Jacket - Women's-Persian Red-Medium 889000000000. 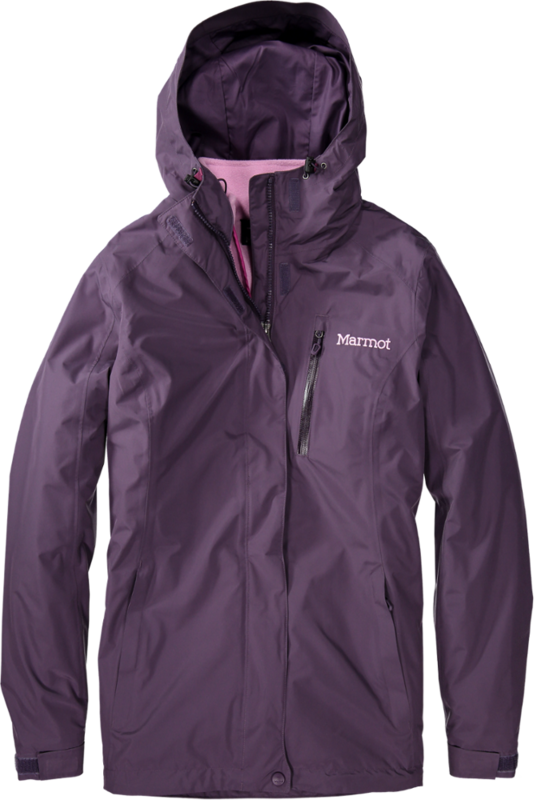 Marmot has also added an attached adjustable hood Angel-Wing Movement and a variety of pockets to round out functionality. 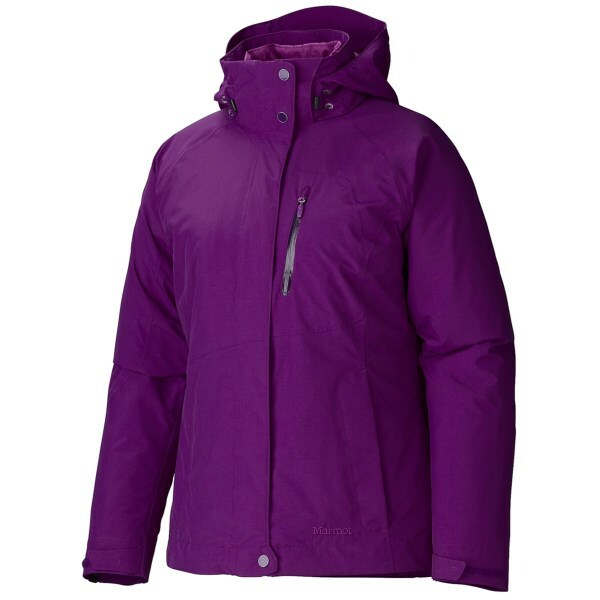 Thanks to its 3-in-1 construction, the Marmot Women's Ramble Component Jacket versatile enough to handle just about anything and everything you throw its way. More specifically, the Ramble boasts a versatile construction that enables you to wear the waterproof shell or fleece liner on its own, or pair the two together for adaptive warmth and protection. 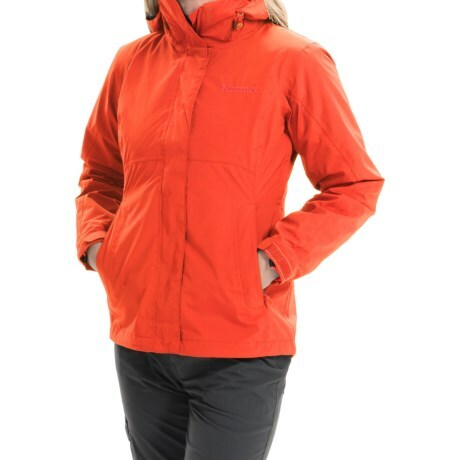 Designed with outdoor ramblers in mind, the 2-layer shell's MemBrain technology gives reliable waterproof protection and breathable performance that makes it adept at handling early spring hikes when worn on its lonesome, or pair it with the fleece liner when you need extra warmth as you snowshoe with the dogs. Adjustments at the hood, hem, and cuffs seal out winter's miserable drafts, and there are multiple pockets to organize and protect your valuables from wet weather.